Your home is your castle and it’s the place where you want to feel safe, secure and warm at all times. When you leave the home to head off for work or to head off on vacation, you want to know that everything is safe. It would be terribly upsetting to return to a home that has had interference in any way by a third party. Furthermore, no one wants their belongings to be stolen or property damaged as it can result in financial loss. Even if you have insurance in place, there might be an excess which means claiming against your policy will still result in you having to pay out to cover the damage. Therefore with all that taken into account, prevention in this case could certainly outweigh the issues of the costs for not taking security measures. 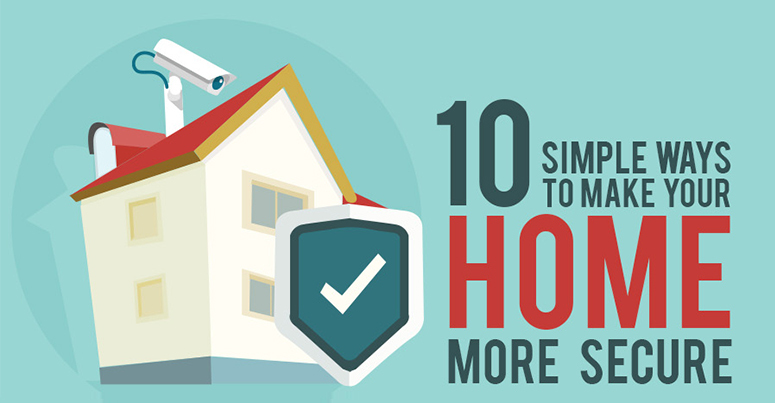 The people at Senator Windows have put together this infographic below which outlines a number of ways that you can make your home more secure. It includes security measures including reinforcing the windows and doors plus also taking measures to ensure you haven’t left it obvious when you’re not at home. Check out the full details below.